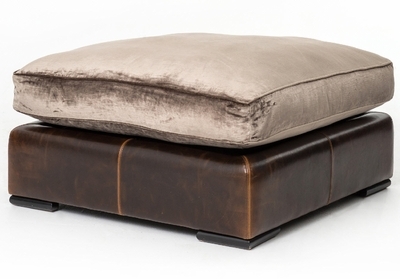 ABERDEEN OTTOMAN - Go from small sofa to grand sectional with a luxe, modular system. Shimmering velvet and rubbed-down leather with a double row of hand-tacked, nailhead trim. H 20" x W 37" x Depth 37"